It is with great enthusiasm that we announce nominations are being accepted for our annual award program honoring staff members of Episcopal Retirement Services (ERS). 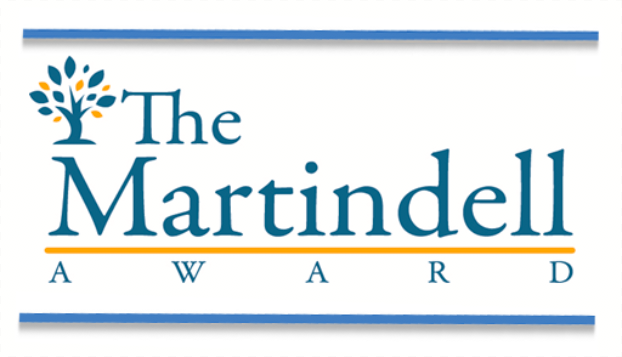 The Martindell Award is a special award granted annually to a deserving ERS non-management team member who exemplifies excellence in care giving. This team member strives to care for your loved one in special and meaningful ways, allowing him/her to live life on his/her own terms. This award is made possible by a generous gift from Trish Martindell, who previously served on ERS’s Board of Directors, and served as Board Chair from 2010 – 2012. Nominations for this prestigious award will be accepted July 17, 2017 through September 1, 2017. The winner will be announced in October. The winner will receive a $1,000 check and will be celebrated in a variety of ways. A beautiful display case has been crafted to showcase the winner and will be located in the community in which the winner works. Nominations will be accepted from residents, family members, ERS clients and ERS managers. We hope that you will participate by nominating someone whom you feel is deserving of this exciting award. You can nominate electronically or find a printer-friendly form at episcopalretirement.com/awards. If you have any questions, don’t hesitate to contact the administrator at your community. We will be happy to assist you in anyway. At Deupree House or Deupree Cottages, contact Megan Bradford, 513.561.6363. At Marjorie P. Lee Retirement Community contact Stephanie Antoun, 513.871.2090. At Episcopal Church Home contact Beverly Edwards, 502.736.7800. To read more about the award and the 2016 winner, please click here.